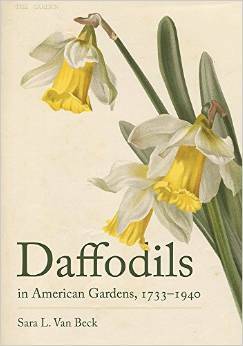 Sara van Beck, author of the new and highly acclaimed Daffodils in American Gardens, 1733-1940, will be our guest speaker at the 2015 summer meeting. Sara is a horticulturist and plant historian, an officer of the American Daffodil Society, and serves on the board of the Cherokee Garden Library at the Atlanta History Center. Sara has worked as a museum curator with the National Park Service and is the former president of the Georgia Daffodil Society. She is co-author of Daffodils in Florida: A Field Guide to the Coastal South and has written articles for the Daffodil Journal, the Magnolia bulletin of the Southern Garden History Society, and Florida Gardening. Members of the Greater St Louis Daffodil Society are thrilled that Sara has found time for a presentation where she will share an overview of her exciting new book.